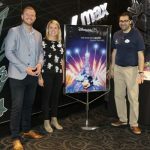 Last night, Disney Destinations hosted 370 travel agents at Event Cinemas George Street in Sydney, as part of its fully booked, nationwide ‘Disney Days Roadshow 2017’. 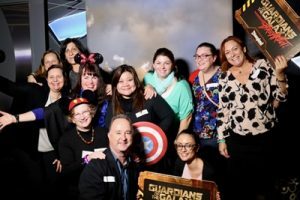 Hosted by Michael Cassis, Travel & Business Development Manager at Disney Destinations International, agents enjoyed drinks and canapés, before taking part in the ULTIMATE Disney Destinations Travel Trade Training Event. 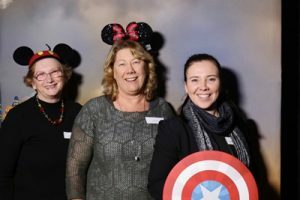 The nationwide Disney Days Roadshow 2017 has received unprecedented demand this year, with 1,500 agents registered to attend Disney Destinations’ seven events around Australia. In addition to Sydney’s successful event yesterday evening, two successful events also already took place last week in Brisbane and Melbourne on 12th and 14th June respectively. “Nearly all of our ‘Disney Days’ roadshow events were booked out well in advance this year, which is incredible. We have been blown away by the high level of demand from agents across Australia who would like to learn even more about Disney Parks and Resorts and how they can sell our products effectively to travellers. Our events are well known in the industry for being extremely informative, and of course, a lot of fun! The Disney Days Roadshow 2017 will provide agents with training on a comprehensive list of Disney Destinations including: Disneyland Resort in California; Walt Disney World Resort in Florida; Aulani – A Disney Resort & Spa in Hawaii; Disney Cruise Line; Hong Kong Disneyland; Disneyland Paris; and Shanghai Disney Resort. “This year, the training enables agents to receive the latest news on the new and exciting attractions, shows and activities to experience across our Disney Parks and Resorts, along with being able to view some of the incredible Disney Parks Night-Time Spectaculars for themselves! We now only have a few limited spots remaining at our upcoming Gold Coast event on 2nd August, therefore we would encourage any agents who would like to attend, to register very quickly to avoid missing out,” added Clark. Disney is also using the roadshows to promote the return of its enormously popular ‘Mickey’s Not So Scary Halloween Mega-Fam’ incentive for its second big year. The competition will allow 10 lucky agents the chance to win a once-in-a-lifetime familiarisation to Walt Disney World Resort where they will celebrate Halloween with Mickey himself at Magic Kingdom Park. Plus, this year’s winners will also be one of the first to visit the all new Pandora – The World of Avatar NOW OPEN at Walt Disney World Resort. The incentive is run in conjunction with airline sponsors Virgin Australia and Delta Air Lines, and to be part of the action, agents must make a valid profile on the website and register any eligible Disney Destinations, Virgin Australia and Delta Air Lines bookings that fit the competitions criteria listed on the site. To register for any of the remaining events, agents can click here.